The Best Nail Polish (Ever)! Two weeks without any chips in my polish? Yes, please! 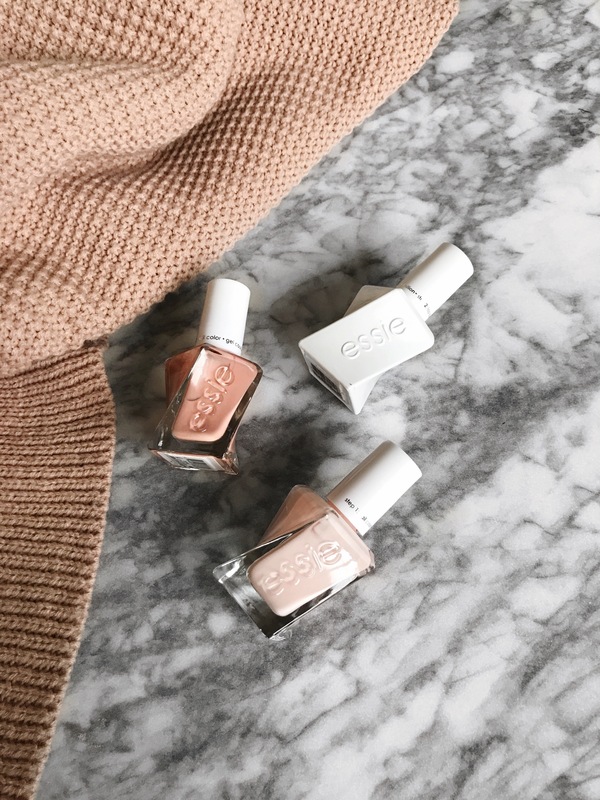 I didn’t believe it when I heard Essie’s Gel Couture nail polish lasts up to two weeks. I thought, sure, maybe one week, but it totally does work! This nail polish is a life saver since I don’t have time to paint my nails all the time, and it stays on for two weeks! With a baby, I’m constantly washing my hands, and it stays on through everything. The amazing thing about this formula is that it doesn’t require a light to cure. You paint it on like a regular nail polish and its good to go. It is recommended that you use both the nail color and the top coat, so it is a two step process, but I always use a top coat anyways. I also always use two coats of the nail color because I like the color to be opaque. No base coat is required. 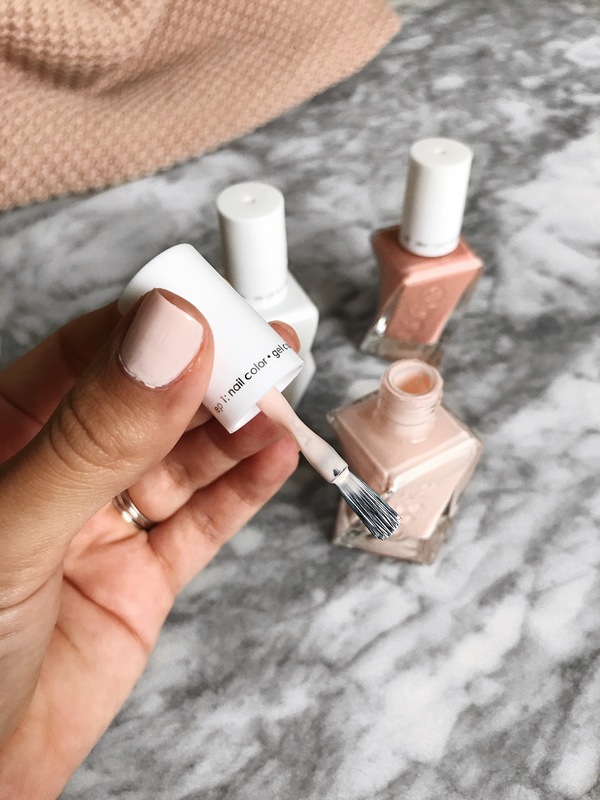 Not only do I love the wear of these nail polishes, but I think the bottle is super cute, and it has my favorite type of brush. I love these types of brushes that are flat and have a rounded edge. I find the rounded edge really helps to get as close as possible to the cuticle, and also give a clean look. I think they are the easiest to use so that only adds to how much I love this polish. While this polish does last for up to two weeks without chips, by that time I do usually have some wear on the tips. It’s usually very minimal, and you really can’t tell unless you really look up close. But no actual chips! They have a great color range, although they are different from Essie’s regular color lineup. 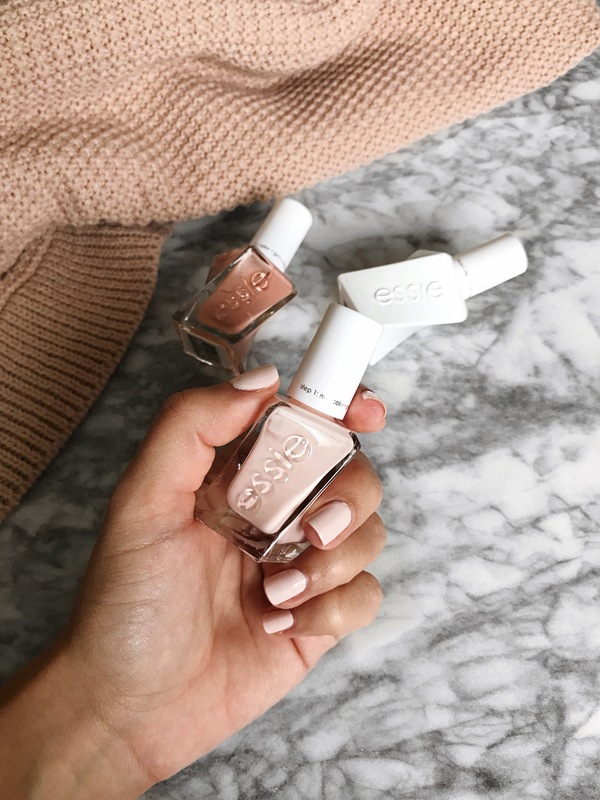 I really wish Essie made their original formula colors available in the Gel Couture line because I have some favorites that I probably won’t be using anymore since I love this formula so much more! Have you used this nail polish before? Did you have the same amazing results?